Clearview Cleaning Services offer commercial and residential gutter cleaning services in the Gosport, Fareham, Southampton, Portsmouth areas. For larger commercial work we will travel further afield. We use high powered gutter vacs which will clear gutters of any debris whilst working safely from the ground saving you money for costly scaffolding around your property. We can operate on gutters up to a height of 12 metres (40 feet). Many of our competitors use blowers to clean the debris out of your gutters which leaves a huge mess to clean up afterwards. 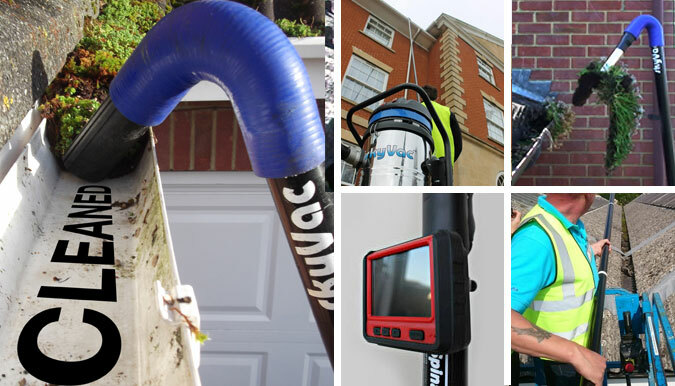 With our professional equipment, it allows us to carry out the task faster and leave your premises clean and tidy and without even leaving the ground. 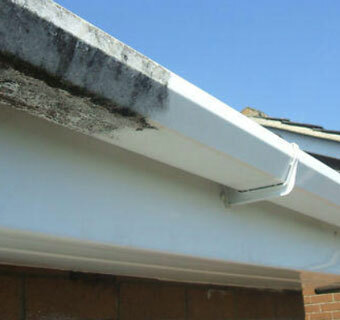 We can also clean the mould and mildew off of your gutters and we can carry out minor gutter repairs and install gutter screens if you need them.